We know by now that they are all out to get us…take indoor pollution. We are encouraged to buy cleaning materials which are full of synthetic fragrances and other irritants, known to have an adverse impact upon our health. If you want to improve the air quality in your home you should bin them along with scented candles and plug-in air fresheners. If you must have smells, burn organic essential oils instead. According to NASA, the most effective (and nicest) way to clean the air in your home is to bring in the plants. Plants are oxygenators and act as a sponge to neutralise pollutants, including formaldehyde and volatile organic compounds emitted from domestic materials such as printing ink, flame-retardant foam and paints. Leafy ones such as spider plants, aspidistra, bamboo, fig and ivy are the best and NASA recommend at least 15 plants in every home. Have patience too; plants you think are dead sometimes come back. Orchids thrive on neglect and will in my experience always produce new flowers if you leave them long enough. If plants are not happy move them. I have some indestructible Peace Lilies which start to die off when we light the log burner in winter but we just move them to a new position. 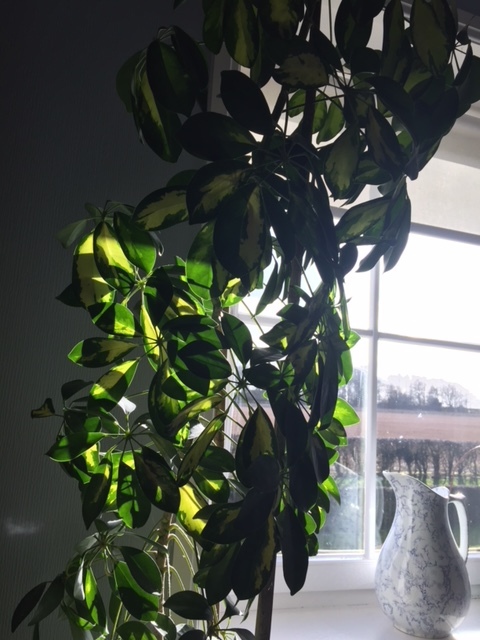 An umbrella plant which I brought from Mum’s hadn’t grown in a decade in a dark corner next to her telly but look at it now next to a sunny landing window. So persevere with your plants…they are good for you.